I wanted to share a quick how to on something I’ve found extremely useful lately. 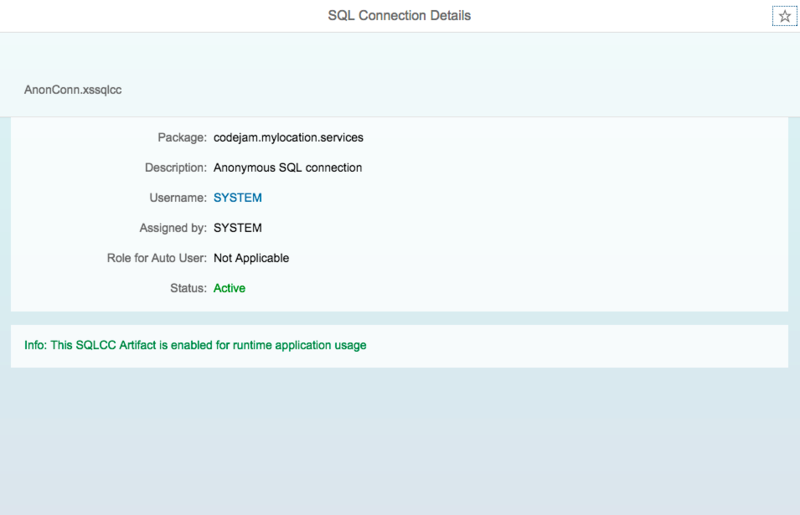 In particular inside of my SAP HANA MDC instance in the SAP HANA Cloud Platform. I’ve been working on a couple of little demos which I had running on my stand alone SAP HANA server and thought it would be interesting to migrate them over to my MDC instance (that link shows you how to create your MDC instance) in HCP. However, in the process I realized there was some slight changes I had to make and I realized I was dipping into my notes quite a bit. So I figured why not convert some of those notes to the Tutorial and How To system under the Developer Center. The first of my notes I wanted to share was about creating anonymous connections in an XSC application. From a security perspective you need to ensure you know the what, the why and the how about this as well as ensure you really need to do it. The guide is fairly short and only takes a few minutes to implement but for a demo that you want to quickly get up and running I find it to be extremely powerful!